WESTPORT, MA — — Former Boston Red Sox pitcher Bill Lee, nickname “Spaceman,” was named the keynote speaker on October 14 at White’s of Westport where he spoke about the game and life with guests at the SouthCoast Business Expo. Lee is no stranger to SouthCoast — he spoke two years ago at the annual meeting for the Fall River Area Chamber of Commerce, has a baseball bat factory in Fall River’s industrial park and sells some of his Spaceman wines, on a special order basis, through Lees Market in Westport. The SouthCoast Business Expo is sponsored by Clean Right, WBSM and SouthCoast Media Group, which includes The Fall River Spirit. Source: Southcoast Today. Lee played for the Sox from 1969 to 1978 and the Montreal Expos from 1979 to 1982. In 2008, he was inducted into the Red Sox Hall of Fame. At 65, he signed with the San Rafael Pacifics of the independent North American League. In 2012, he became the oldest pitcher in baseball history to win a professional game. The author of four books and subject of a 2006 documentary, Lee is known for his counterculture behavior and his antics on and off the field. Sports Speakers 360 is a booking agent for motivational sports speakers. 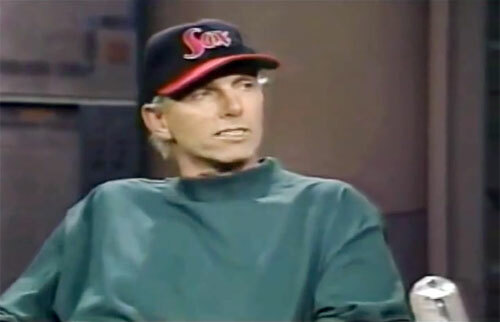 If you would like to book pro athletes or MLB stars like Bill Lee for a speaking engagement or appearance, please contact Bill Lee’s booking agent for speaker fee information. For details on how to hire Boston Red Sox players for appearances, call 1.855.303.5450.